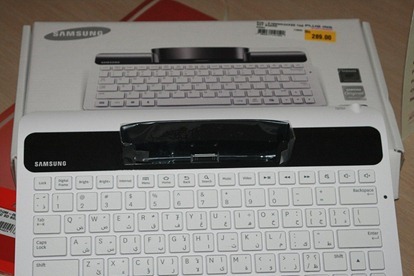 I just want to share some photos of my Galaxy Tab Dock, I bought it during my recent visit in Abu Dhabi. 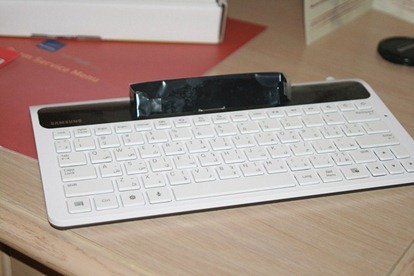 I am trying to find this dock in Riyadh but unfortunately it is not available. 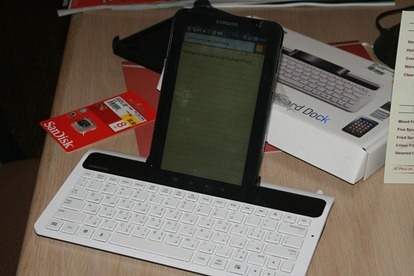 Accessories for Galaxy Tab that area available in Riyadh are very limited. The Tab works perfect for my needs. I love the buttons above the letters. where it shows a one touch button to play music or videos. 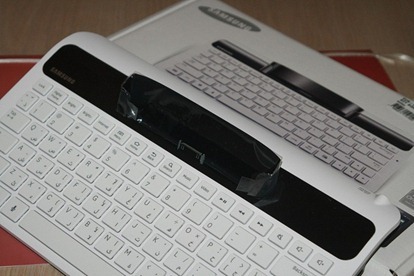 I have tried with my Galaxy Tab and it works perfect. 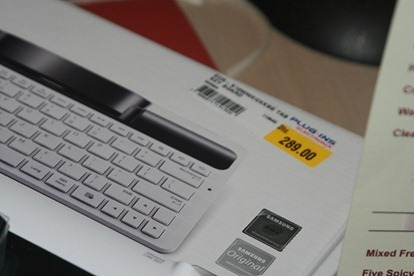 I bought it @ 289 DHS at Plug-Ins located in Marina Mall in Abu Dhabi. 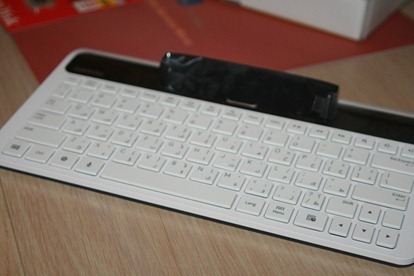 It was a nice buy, so if you have a galaxy tab and you want to type faster, why donâ€™t you try to buy a Galaxy Tab Dock.